I’m a travel obsessed foodie and mom of two sharing the best recipes, tips and tricks to make your everyday extraordinary! I’m a travel obsessed foodie and mom of two sharing the best recipes, tips and tricks to make your everyday extraordinary! Here at Sweet C’s, we’re all about living life to the fullest. We believe in pursuing fun, flavor, friendships, and family – and help you find easy, simple, and creative ways to live out loud! 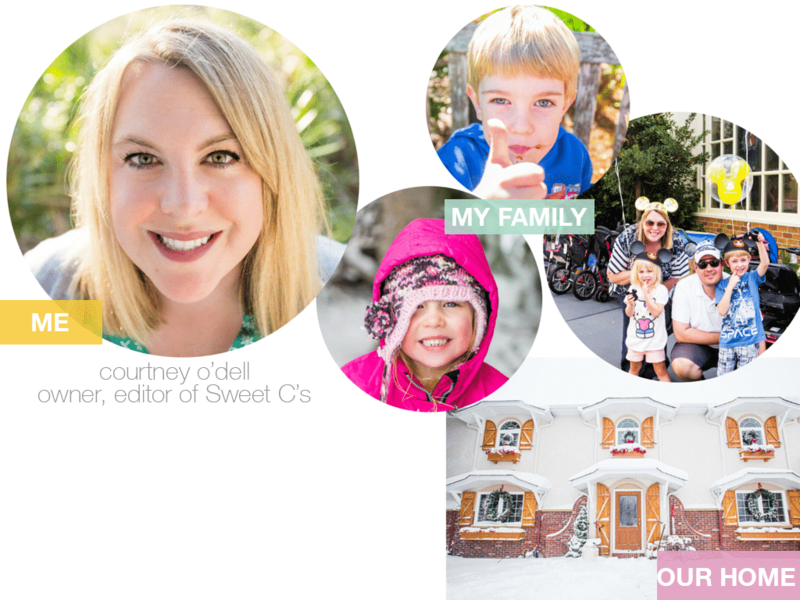 I created Sweet C’s in 2010 as hobby- a way to connect with other busy women and share tips and tricks to help make like a little sweeter- and you’ve helped it grow far past anything I could ever imagine. I love to make things special for my family and friends and share them on Sweet C’s – and I hope every time you visit me here, you leave inspired and empowered to create your own something sweet for the people you love. I believe anyone can make great tasting food. I believe anyone can create something they can be proud of. And I believe strongly in the power of exploring the beautiful world we live in, near and far. I’m incredibly proud of the business I’ve built, and am thankful for so many supportive friends, family members, and readers who visit here everyday. I’m constantly amazed and am grateful we live in a time where sharing ideas is so quick and easy. I’ve been blessed to work with amazing brands, meet wonderful people, and visit places I’d always dreamed of visiting – and I get to share this crazy adventure with so many awesome friends everyday. Everytime you come to Sweet C’s for a recipe or idea, you’re helping to grow my small business and my family’s dream. There are so many websites with impeccable recipes and gorgeous photos, and I am privileged and honored you’re spending your time with me. So grab a cup of coffee, and let’s get to know each other! Head here to see Sweet C’s Recipes. Head here to see Sweet C’s Drinks. Head here to see Sweet C’s DIY and home decor projects. Head here to see some of our favorite travel ideas and places we love. Courtney O’Dell loves to share great wine, good food, and loves to explore far flung places- all while mastering an everyday elegant and easy style. 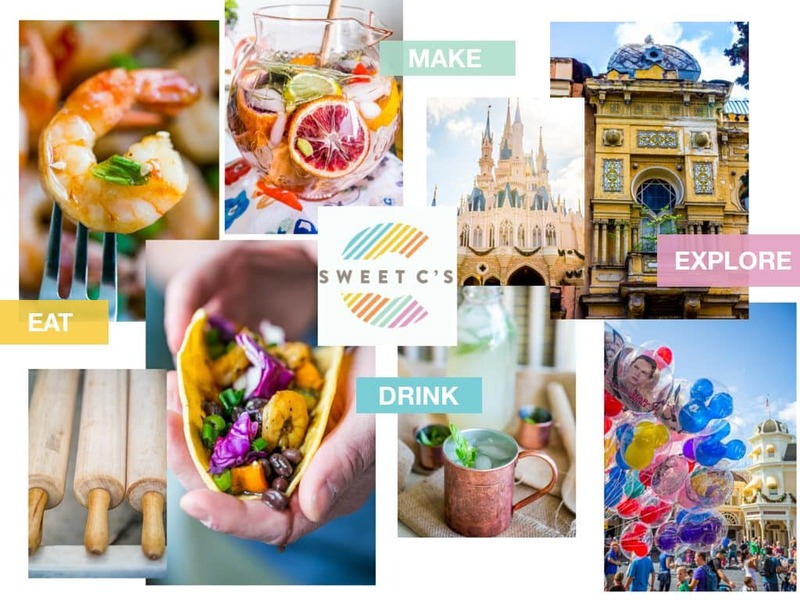 Courtney writes the popular creative lifestyle blog Sweet C’s Designs- a site devoted easy recipes, DIY and decor, and travel inspiration. Courtney is a former Senate staffer and financial industry lobbyist with over a decade experience in public and government affairs, and currently lives in Northern Colorado with her husband and two young children.